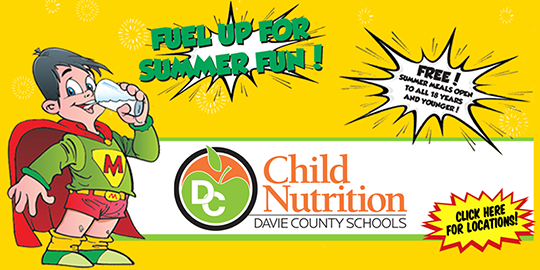 School Matters is a just-in-time news source of Davie County Schools. This is not a weekly or monthly newsletter, but instead a timely reminder of events within the school district or news affecting your schools. Please consider sharing School Matters with a friend and, if needed, updating your contact information here. The General Assembly has adopted a state budget that will adjust funding for public schools in North Carolina and affect Davie County Schools. The $22.34 billion state budget is a 2.8% increase over the previously enacted 2016-2017 budget. The budget is contained in House Bill 1030 and includes compensation increases for teachers, school-based administrators, and school personnel. 4.7% average raise for teachers, which includes a step increase for educators earning a year of creditable experience. The highest percentage increases are for teachers in years 5-20. 1.5% salary increase for all school-based administrators. Step increase of 1.22% to eligible school-based administrators. Principals and assistant principals will also receive a one-time bonus of 0.5%. 1.5% compensation increase and a 0.5% bonus for all other permanent full-time State-funded school district employees. $17.2 million is allocated for merit-based bonuses for non-teaching employees, with the process and amounts to be determined by local school boards. We have no details on how any of these funds must be allocated at this time. 1.6% cost-of-living increase for retirees of the Teachers’ and State Employees’ Retirement System. $10 million in non-recurring funds of additional funding for textbooks and digital materials. This brings up the total appropriation for textbooks and digital materials to $71.5 million. This is a welcome increase to this allotment, but far from what is necessary to adequately supply textbooks and digital materials. There are 1.5 million students across the state, so this allotment is approximately $48.00 per student. $10 million in non-recurring funds for a new 3rd Grade Reading Teacher Performance Pilot Program. 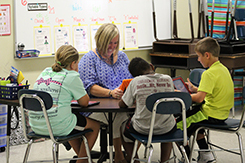 This program will provide bonuses to the top 25% of 3rd grade reading teachers statewide and the top 25% of 3rd grade reading teachers within each LEA based on each teacher’s EVAAS student growth index score for reading from the prior year. $4 million in recurring funds, and $700,000 in non-recurring funds, to accelerate the implementation of several components of the state’s Digital Learning Plan for public schools. $2.5 million in additional, non-recurring funds, for instructional materials, supplies and equipment. $5.8 million in recurring funds to increase funding for Special Education Vouchers. $4.3 million in recurring funds for teacher bonuses for teachers of students in Advanced Placement courses and achieving certain performance measures on the AP exams. $600,000 in recurring funds to support a $25 or $50 bonus payment to teachers of record for students that complete a CTE class and pass a related examination leading to industry certifications and/or credentials. $2 million in non-recurring funds for At-Risk Student Supplemental Funding, but makes a $4.8 recurring cut to At-Risk Student Supplemental Funding. $1.1 million for a new 3-year pilot program to support LEA efforts to create the organization structure and innovative compensation methods that would allow classroom teachers to take on advanced teaching roles. $250,000 in non-recurring funds for updates to Online Licensure System to meet the requirements of Senate Bill 867, which requires fingerprint background checks for applicants seeking teacher licensure. $140,000 for State Board of Education Legal Services to provide support for the additional requirements of Senate Bill 867, which requires fingerprint background checks for applicants seeking teacher licensure. The budget bill also expands the private school voucher program from $34.8 million to $134.8 million over the next 10 years. These public dollars will be allocated to private schools with little or no accountability. We also see the continuation of a troubling trend of supplanting state funds that used to go to public education with lottery funds. This year the legislature will use $57.3 million more in state lottery funds to pay the salaries of public school clerical workers, custodians and support staff, on top of the $315 million in lottery funds for non-instructional personnel already appropriated for the coming year. Welcome and congratulations to the following staff members on their new appointments! Samuel Brown has been named the new assistant principal for Cooleemee Elementary School. Mr. Brown earned his Bachelor of Arts in English at UNC-G and is completing his Master in School Administration at Appalachian State University. He comes to us from Stokes County, where he served six years as an English and lead teacher at Stokes Early College High School. In addition, Mr. Brown has served as the Curriculum and Instruction Representative, ACT Testing Coordinator, Testing Accommodations Coordinator and has served on the School Improvement Team and the Positive Behavioral Interventions and Supports Team. Brittany Head has been named the new assistant principal for William R. Davie Elementary School. Ms. Head earned her Bachelor of Science in Biology from Lees-McRae College and her Master of Arts in Executive Leadership with Principal Licensure from Gardner-Webb University. She has served as assistant principal at Envision Science Academy in Raleigh, as well as STEAM Curriculum Director. Ms. Head was a Science teacher and the Science Department chair at Northview IB World School in Statesville. She has also taught 6th grade Science, Math, Social Studies and 8th grade Math. Alicia Holman will be transitioning from principal of William Ellis Middle School to become our Student Services Coordinator. She will be working with our leadership team on several projects to ensure students remain in school and are redirected on a path to success. Ms. Holman has been an integral part of the Ellis Middle School family and community for a long time, and we thank her for all she has done to serve the students and staff at Ellis. 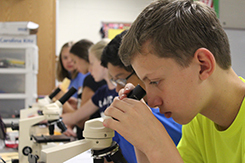 Davie County Schools, in collaboration with Wake Forest Baptist Medical Center, has developed a STEM pipeline for rising 7th grade students in order to increase interest and performance in STEM related studies leading into high school Biology. Through the STEM Pipeline Summer Camp, students engage in problem based learning (PBL), collaborate in order to respond to a complex question, problem, or challenge, practice 21st Century Skills (such as collaboration, communication & critical thinking) and create high-quality products & digital media presentations. The STEM Pipeline Summer Camp took place at North Davie Middle School from June 13 - 24 under the direction of Don Tabat, 8th grade science teacher at North Davie Middle School, and supported by Emily Fanning, South Davie Middle School 7th grade science teacher. The camp was attended by 28 students, representing all three middle schools, and 4 junior counselors. During the first week of camp, students were presented with two different forensic cases. In The Case of the Murdered Mayor, students worked in investigative teams and applied scientific principles in order to solve a fictional murder mystery. Then, in the Golden River Heist, students assumed the role of a forensic scientists to solve a fictional crime by integrating concepts in physics, chemistry, and biology. As a culminating activity, students visited Discovery Place in Charlotte. In the second week, students assumed the role of automotive engineers. They were challenged to design and construct a model car that was powered by an electric motor using direct current from a solar cell. Students considered factors such as weight, gear ratios, sun angle, aerodynamics, traction, friction, wheelbase, and front- or rear-wheel drive. Student groups tested their designs by racing their cars on a straight track and competing for shortest elapsed time. As a culminating activity, students visited the Nascar Hall of Fame and Museum. Throughout the 2016-17 school year, each of these students will participate in three reunion dinners. 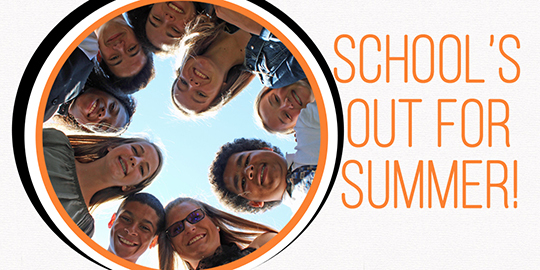 These reunion dinners will provide each student with the opportunity to share their 7th grade experiences, actively participate in a fun STEM activity and share a meal and fellowship. The students in the 2016 Read to Achieve Camp come from every elementary school across the county. This year, the camp has expanded to include first and second graders, in addition to the third graders who are required or invited to attend. These young students have a wide variety of achievement levels and each one is helped tremendously from several new approaches to learning. A critical mission of the camp is discovering the individual camper’s strengths, their interests, and their talents. Then teachers work to focus those learning strengths on developing new skills in decoding, fluency, comprehension, phonemic awareness, uncovering text complexity, applying prior knowledge, making predictions, building good questions, understanding setting and the writer’s point of view. These are all the magical components that produce confident readers. The overarching goal of the RTA camp is to transform the students’ perception of themselves as learners. There are 120 happy faces creating the landscape of this unusual camp. While students write, read, recite, act, move, sing, play instruments, paint, create, sculpt, design and construct, their brains are engaged in multiple levels of thinking and understanding. That old adage from Ben Franklin of “Tell me and I forget. Teach me and I remember. Involve me and I learn,” is exhibited in each classroom throughout the day. Beginning with an active “morning stretch” and continuing with interconnected curriculum and themes that are echoed throughout the day in each of their arts, computer, writing, and reading classes, these students are changing everyday by meeting each new challenge. The generous support of the Mebane Charitable Foundation provides funding for hiring highly effective teachers and leaders who have proven track records of excellence. Creating the right team is at the heart of our unique reading camp experience. 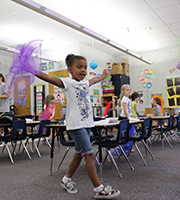 Mebane dollars also provide specialized training from the Hill Center for Reading Achievement and North Carolina A+ Schools, helping our teachers bring learning alive with arts and individualized goal setting. As we enter the final week of camp, teachers are already wishing that they had even more time with their students. Witnessing great gains in learning is a powerful experience for our teachers, providing inspiration and new tools for the coming school year. The DCS Read to Achieve Camp is described by our campers as “so much fun”, “a new way to learn”, and “a way to show how smart you are”. As one third-grade girl put it: “When I didn’t get it before, I just wasn’t using my best learning.” Next week on the final day of camp, third grade campers will take the Read to Achieve Test to determine their growth from this experience and position them for fourth grade. That afternoon, all of the campers will gather for their culminating Native American Pow Wow, sharing what they’ve learned with each other. Then the buses will load up and these students will re-enter their summer, knowing that they are different, stronger, smarter, and that they have lots of new skills to enter their next grade with confidence. 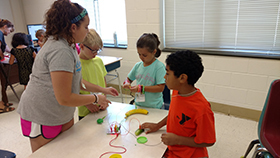 Mocksville Elementary's Summer STEM Camp uses a high-energy, hands-on approach to engage students in learning. 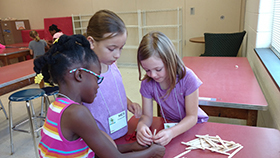 During the camp, students work together in “island groups” to solve problems that they encounter on “Discovery Island”. Instructors use a problem-based learning approach to help students research, experiment, theorize, build, analyze, calculate, write creatively, observe and explore the world around them. Students use ratios as they design an efficient camp site; they learn about renewable energy sources as they build windmills and solar ovens; they experiment with buoyancy density as they design rafts that will stay afloat. Throughout the camp, students record what they are learning by journaling in weekly log books. Guest speakers and a culminating field trip to the Greensboro Children's Museum add to the students' experience and introduce them to a variety of STEM careers. Cornatzer Elementary's Rising 1-5 Grade Summer Camp focused on healthy living, eating healthy and staying active. On Tuesday, Josh Stanley from Combat Athletics taught the kids a stretching workout. On Wednesday, the summer camp participants went to Lowes Foods in Lewisville to learn more about healthy foods. 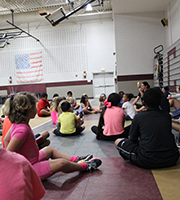 Julie Current from Infinity Elite Athletics came on Thursday and put students through an obstacle course, talked about food groups, and taught them a way to exercise with the Cupid Shuffle. The CZE Color Me Kinder Camp, along with their teacher Mrs. Patterson, also participated in the activities mentioned. 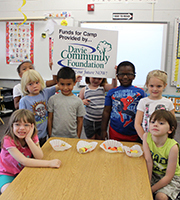 The summer camp was funded by the Davie Community Foundation. 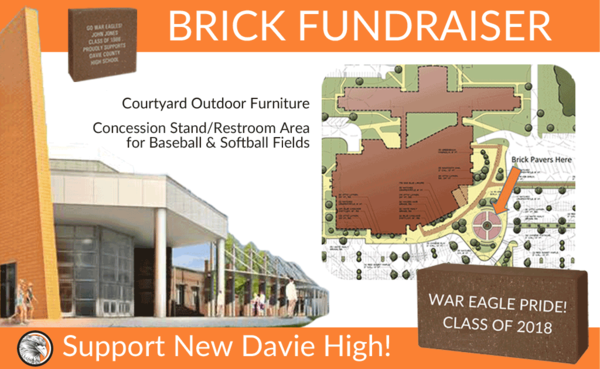 If you have not driven down Farmington Road recently, the new Davie County High School is taking shape quickly. 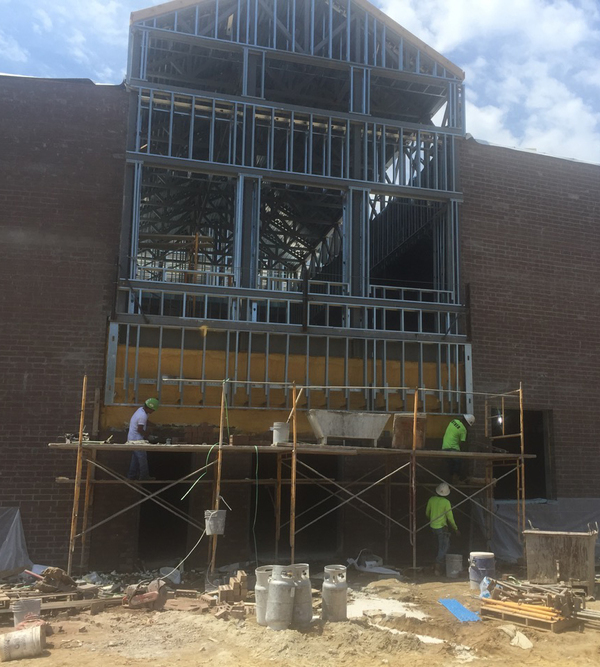 By the end of summer, the three story academic wing will be bricked and doors and windows will be installed. 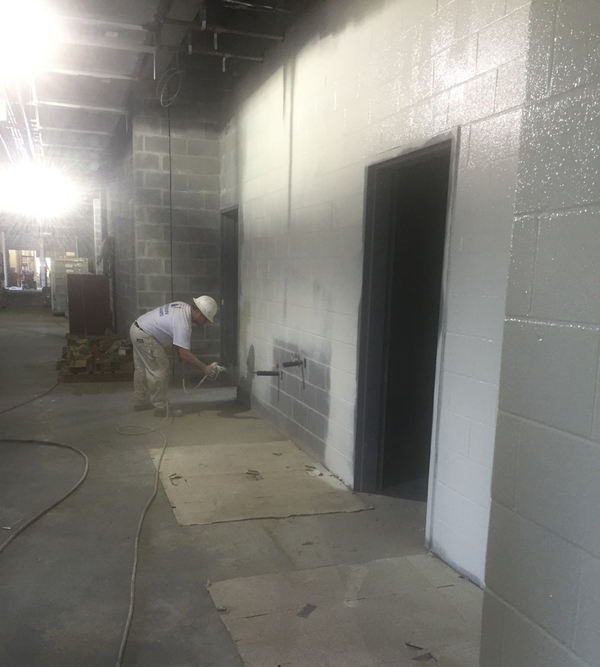 The gymnasiums, cafeteria, and auditorium are really coming along and some classrooms and hallways are being painted. 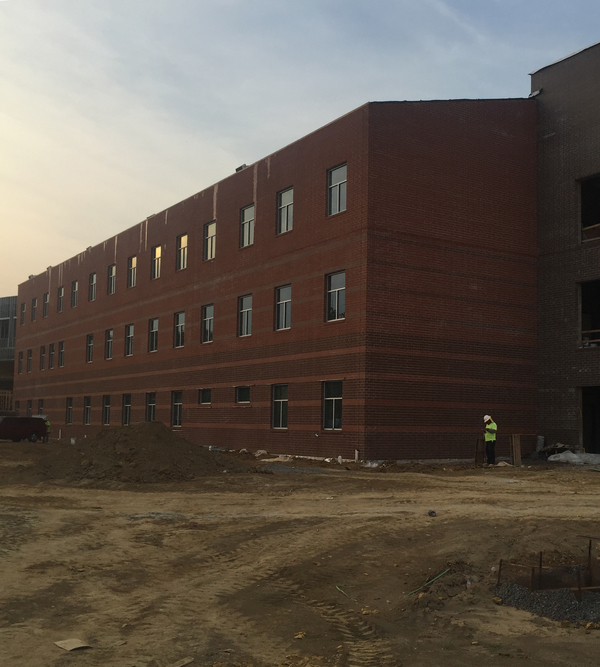 You can’t see it from the road, but the Career and Technical Education building is coming up quickly. Yes, those are goal posts on the football field. The football, baseball and practice fields are being seeded over the next couple weeks and stadium seating will be installed soon. The road widening is also scheduled to be completed before school starts in August. We encourage you to drive by, but please do not enter the construction site. The site is under surveillance, so please stay on Farmington Road or War Eagle Drive. We have had some unauthorized visitors greeted by the Davie County Sheriff’s Department, who is doing an excellent job securing the site during construction.